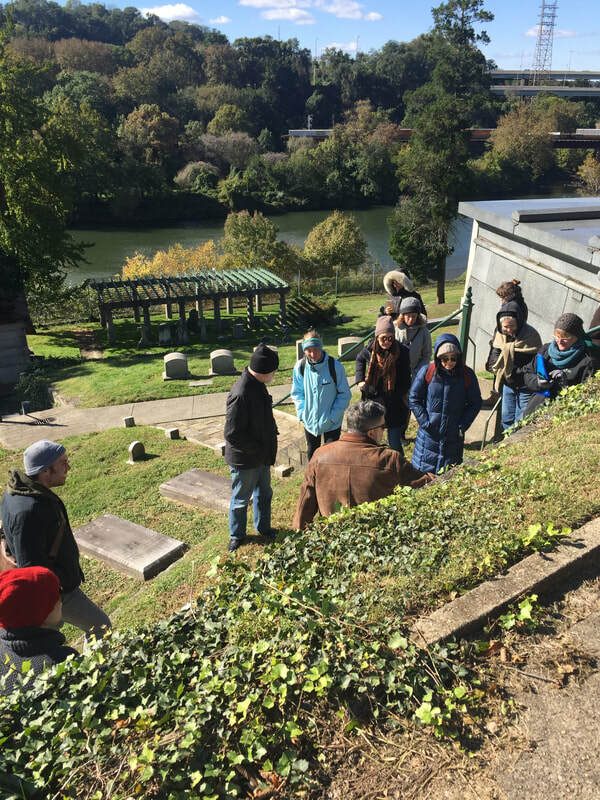 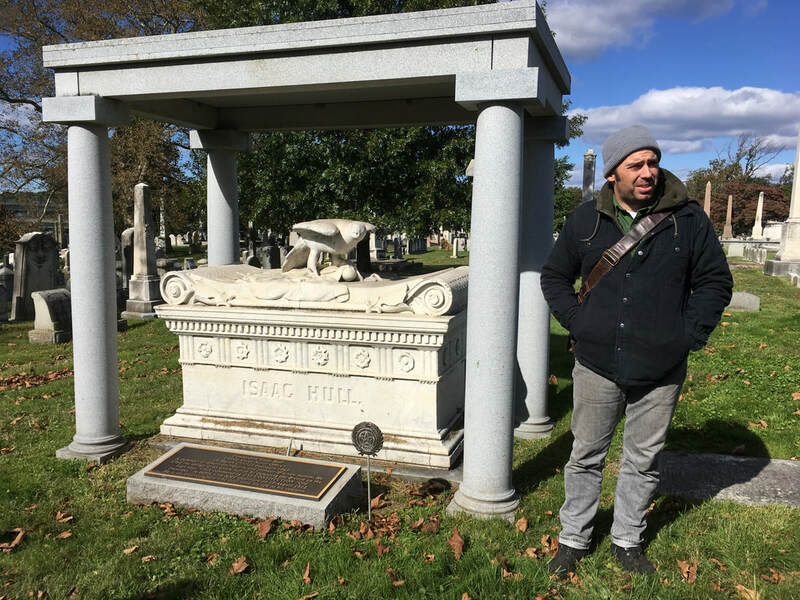 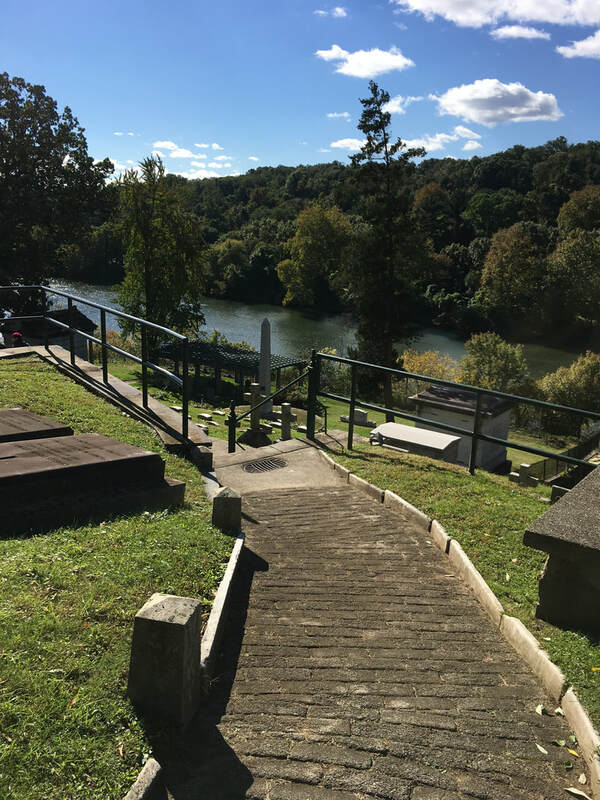 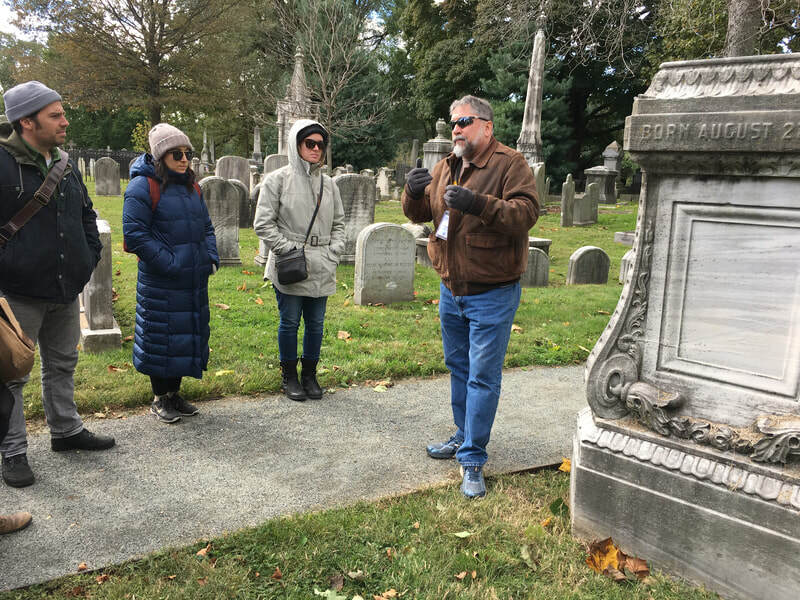 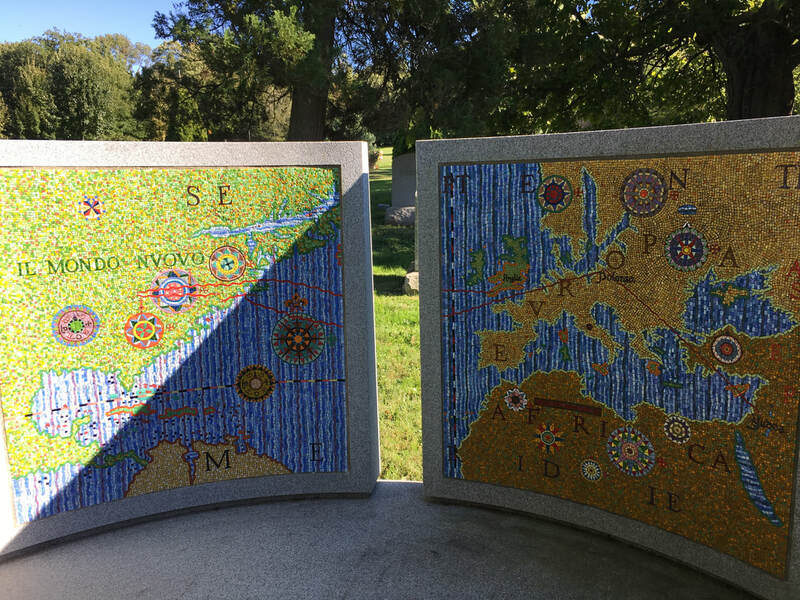 Sunday, October 21, 2018 – 1 p.m.
PACA members gathered for a a private guided tour of Laurel Hill Cemetery, a National Historic Landmark on 78 scenic acres overlooking the Schuylkill River. 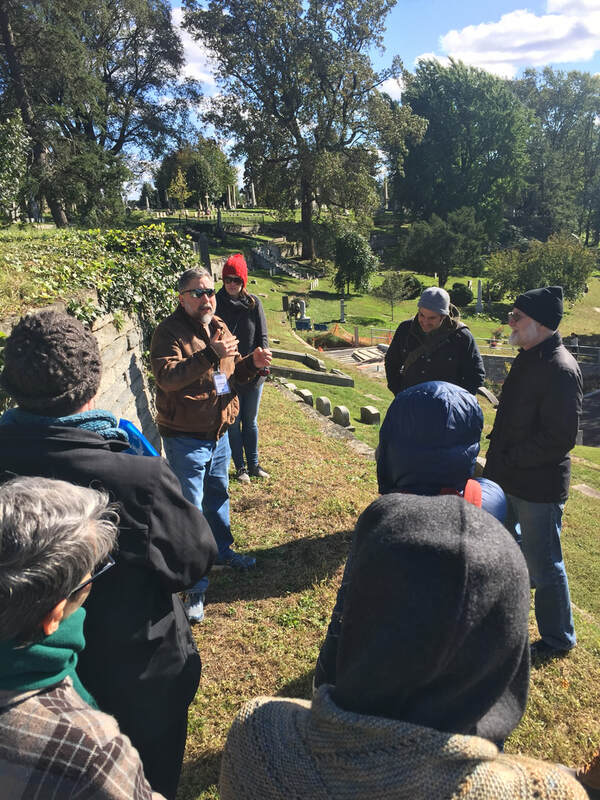 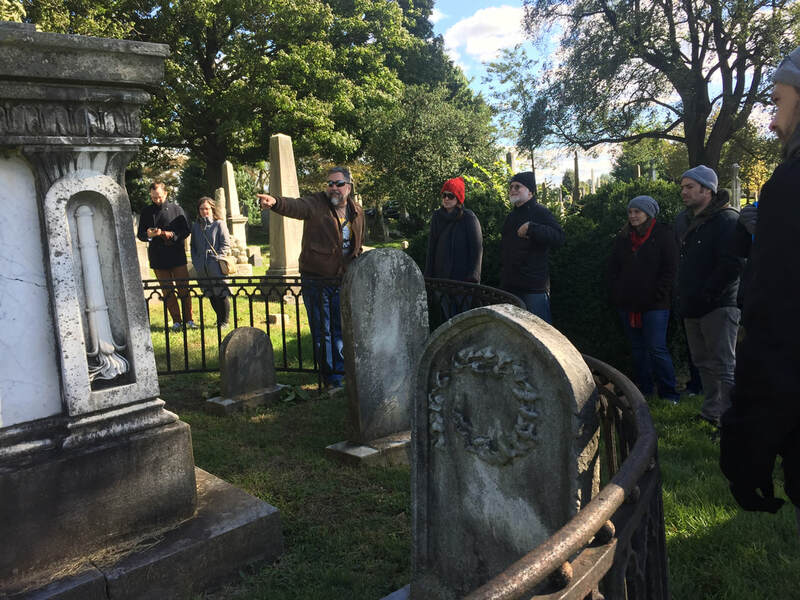 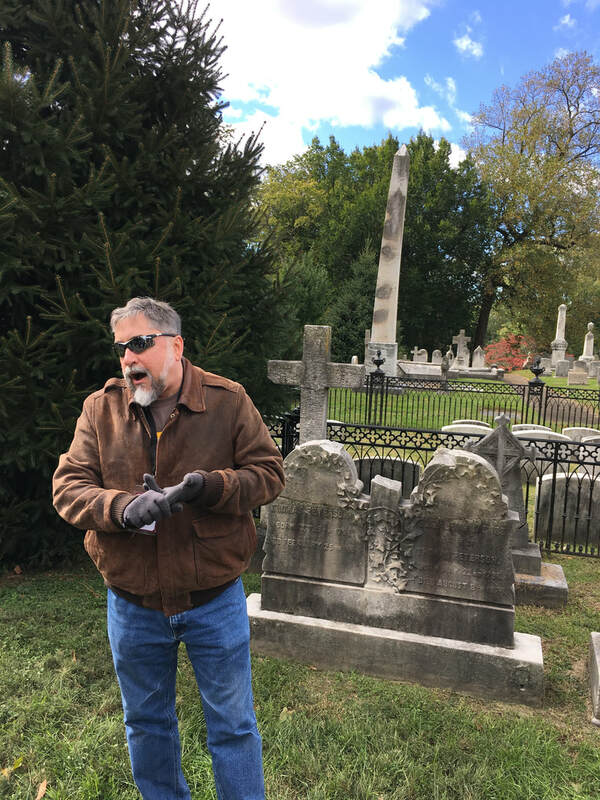 Our guide, Mike Lewandowski, explained the cemetery's history and preservation challenges, and monuments conservator Seth Gartland gave us insight into conservation challenges for historic cemeteries. 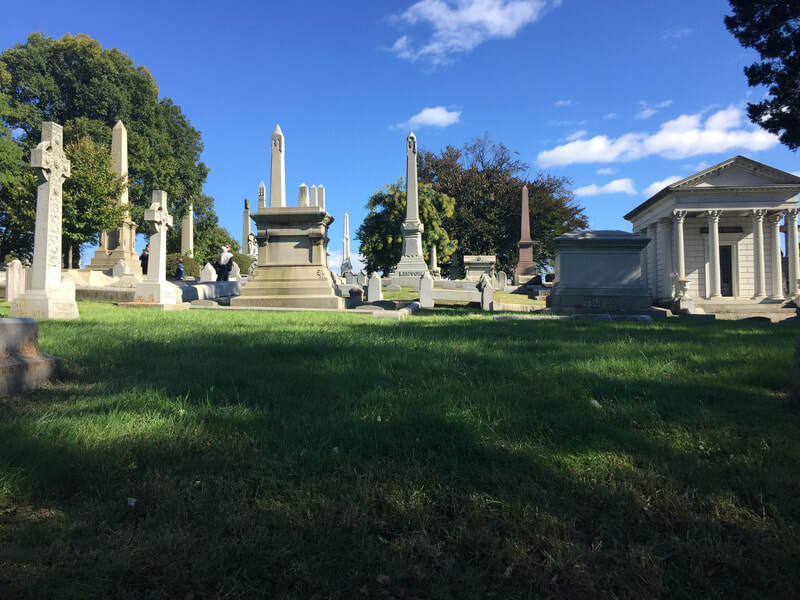 Tip of the day: choose granite! 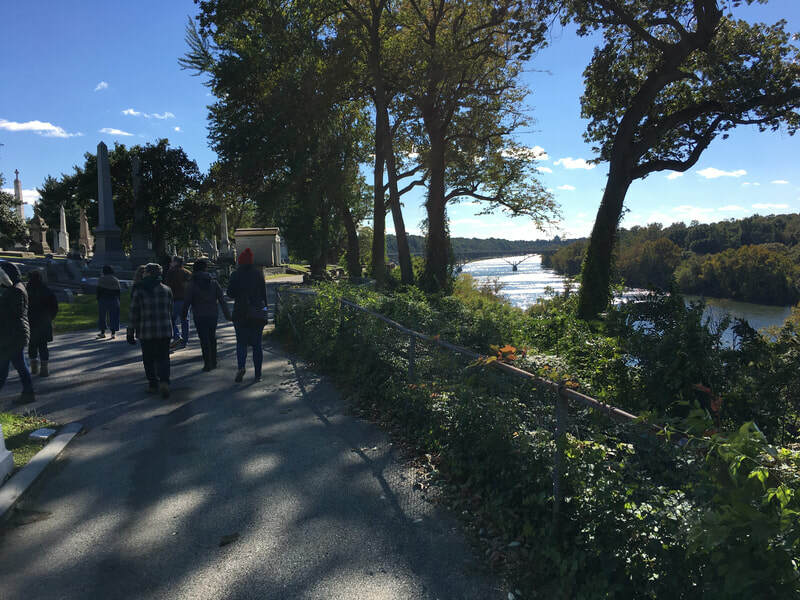 It is far less susceptible to acid rain.